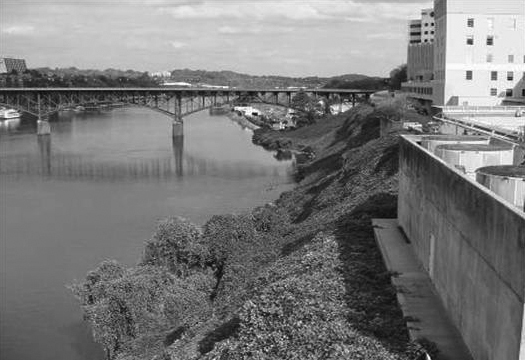 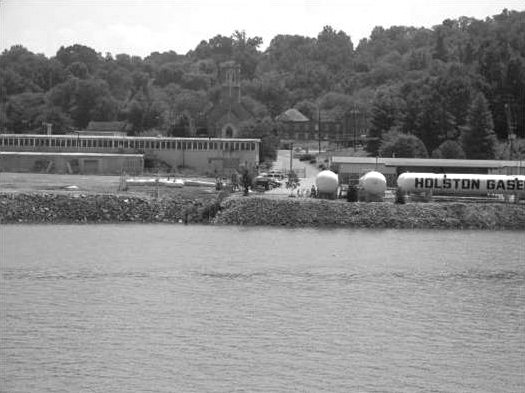 Bounded by both active and derelict industrial uses, the Tennessee River in Knoxville will be transformed over the next generation from an underutilized edge of downtown to a vibrant center that connects both sides of the city. 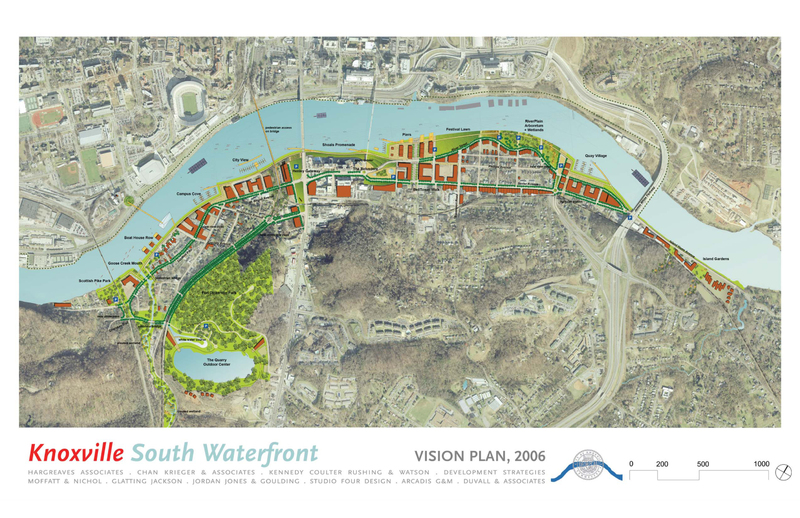 The Vision and Action Plan for riverfront redevelopment focuses on a three-mile length of the waterfront. 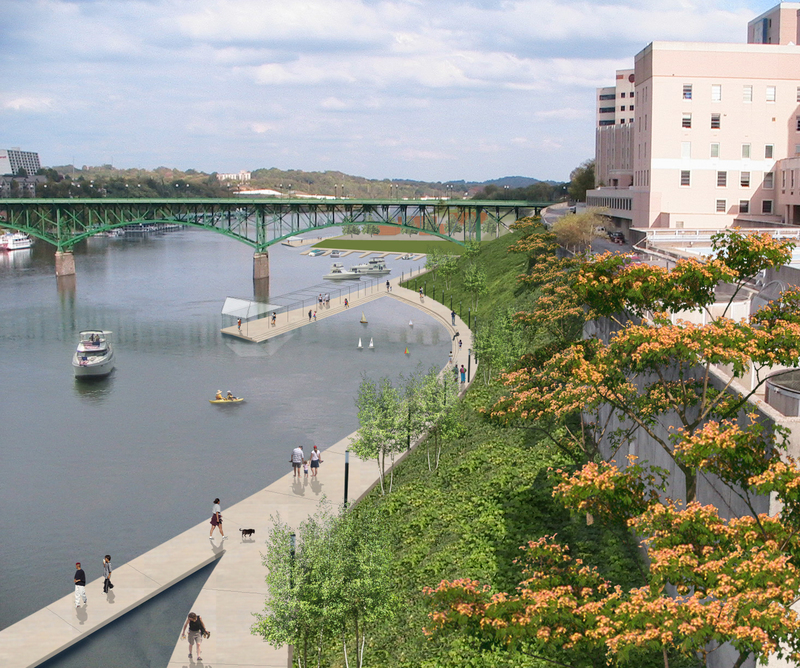 The plan creates a framework for growth in South Knoxville that can accommodate the nearly 3 million square feet of anticipated growth in the area over the next 20 years. 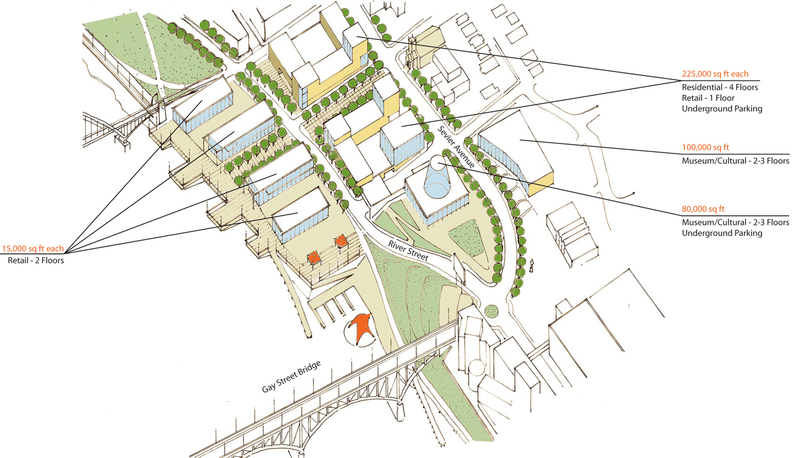 The framework of open spaces and building blocks creates a patchwork of development linked by continuous public access along the river’s edge. 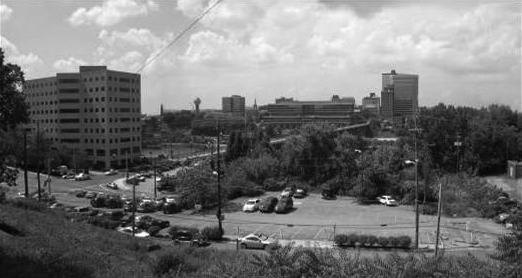 Development “windows” oriented perpendicular to the waterfront make connections into the existing, residential neighborhoods inland from the existing industrial uses. 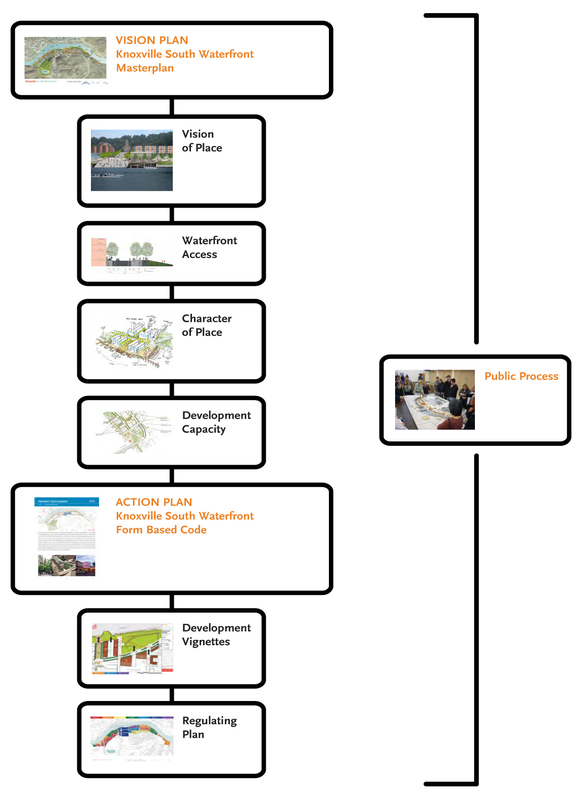 Three well-attended workshops facilitated public involvement in establishing development goals and objectives and identifying appropriate locations for future waterfront uses. 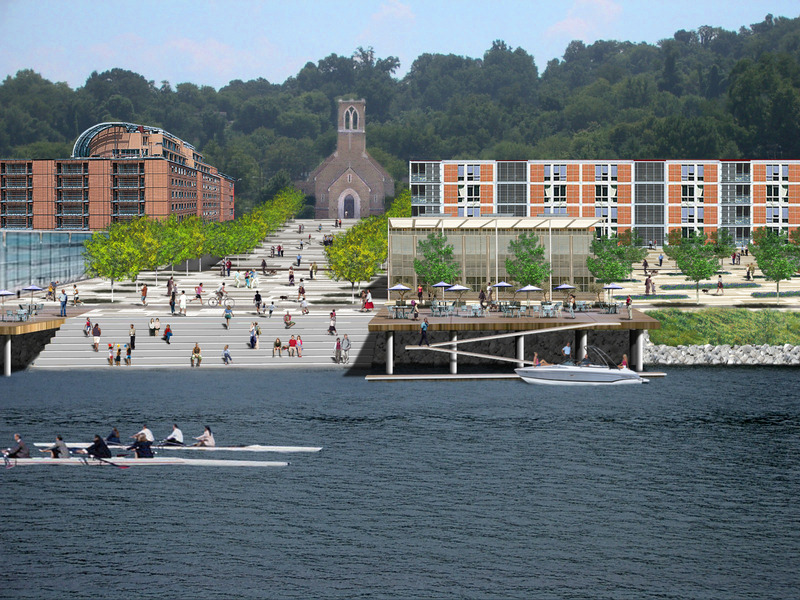 Form-based zoning will be created to appropriately direct development that does not overwhelm the existing fabric.